Fifty thousand women, who came from as far afield as Scotland, Carlisle, Cornwall and North Wales, walked for more than a month through all weathers while carrying banners to get to their rally point, sleeping at the houses of supporters who would then join them on the greatest ever march for suffrage. Stories about the incredible marchers were found by researchers at family history website Genes Reunites using articles from their Newspaper Archive. 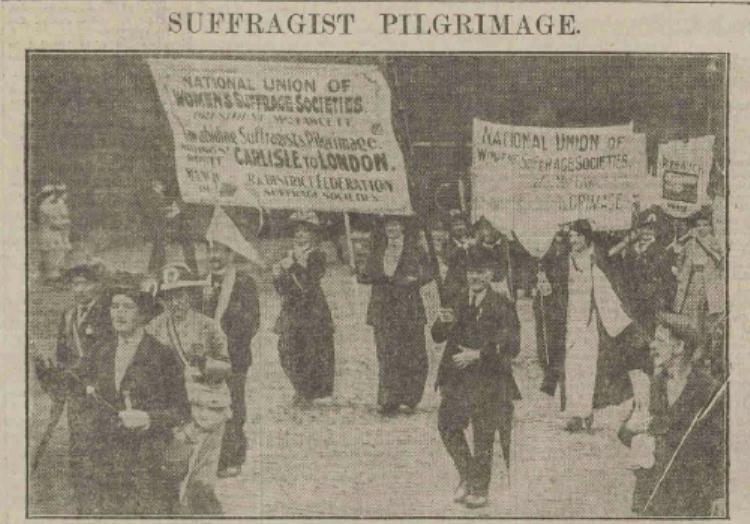 In 1913, the National Union of Women’s Suffrage Societies (NUWSS) followed eight routes, walking over 300 miles through towns and villages before finally meeting in Hyde Park on the 26th of July. The Aberdeen journal described it as "the most effective demonstration yet, organised in support of woman suffrage" as the marchers, all dressed in the red, white and green colours of the NUWSS, waved their banners in unison and cheered on the streams of women who came to join their ranks while bands played lively music. 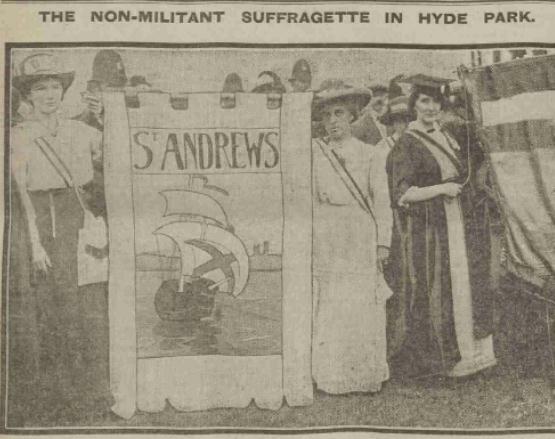 "Characterised by non-militant methods" the Suffragists believed in constitutional methods of fighting and wished to "put their case before the country with a cogency and strength not yet displayed by the militants," the paper said. The Luton Advertiser reported how some women, such as the Lands End and Carlisle contingents, set off on June 18th "tramping through all weathers and over all kinds of thoroughfares". The newspaper recounted how the travelling groups grew in number yet the "most timid citizen may view their arrival without fear of broken windows or any form of violence". Millicent Fawcett, head of the NUWSS, was a woman who believed that the only way to reach their goal was through legitimate and admirable means. Her suffragists aimed to distance themselves from the bombing and burning activates of the Pankhurst sister’s militant WSPU suffragettes. The marches were conducted in "a perfectly peaceful manner", according to the Luton Times & Advertiser. Women marched "with great gladness in their hearts, knowing they were taking part in one of the greatest movements of the age". The only disruptions came from occasional bands of male agitators. The demonstration at the park was followed by a special service at St Pauls before the women quietly disbanded and started the long journey home. Rhoda Breakell, Head of Genes Reunited, said: "These were truly remarkable women who were incredibly dedicated to their cause. The stories from our Newspaper Archive chronicle the amazing dedication of these women as they headed towards London from all over the country. "Search the 515 million records on Genes Reunited to see if your ancestors were part of this amazing group of women and track social attitudes towards politics, as well as capturing the mood of an era." 1893 Women got the Vote in NZ.